Tottenham Hotspur Could Move In For This English Forward In January: Perfect Replacement For The Injured Kane? According to a recent report by the Mirror, Tottenham Hotspur could change their plans of not signing anyone during this January transfer period after Harry Kane’s recent injury. The same report has also mentioned that Spurs could make a move for Bournemouth forward Callum Wilson in an effort to cope with Kane’s absence over the next few weeks. However, the Mirror has also revealed that the North London giants will face stiff competition from Chelsea and West Ham United in pursuit of the English talent. 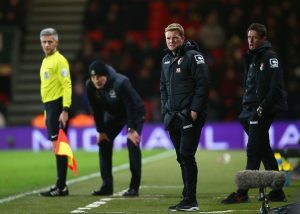 Wilson has been in a rich vein of form for the Cherries and has already put in some match-winning displays under Eddie Howe’s tutelage this season. He is currently out of action with an injury but is nearing a return so Spurs should have him fit if they do decide to bring him to London this month. Wilson has featured in 23 matches for Bournemouth this term, scoring ten goals while grabbing six assists in all competitions. His incredible performances up top at the club level had also earned him an international cap for Gareth Southgate’s England national team back in November last year when he scored a goal against the United States on his debut. The Coventry born talent has blistering pace and is also quite effective while running with the ball in the attacking end of the pitch. He can score goals with both feet and has a knack for popping up in the right positions inside the opposition penalty area. 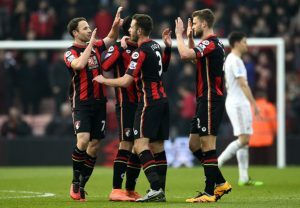 His excellent goal-scoring record has helped Bournemouth climb to the 12th place of the league standings, a whopping 9 points above the relegation zone. The addition of a proven goal-scorer like Wilson will undoubtedly help Spurs cope with Kane’s injury. He will also add some healthy competition for the English superstar and will be a great asset under Mauricio Pochettino as his side resumes their fight across all fronts in search of some silverware in the second half of this campaign. Hence, Pochettino should do everything in his power to secure Wilson’s services before the end of this month as he would be an ideal replacement for Kane and will also add a lot of goals which could help Spurs win a major trophy this season. West Ham Vs Bournemouth Preview: Can The Hosts Impress At Their New Home? 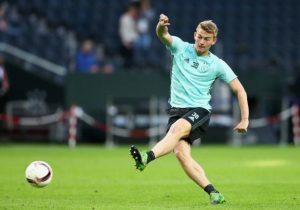 Can Bournemouth Get A Good Replacement For Nathan Ake In This Star Premier League Defender? 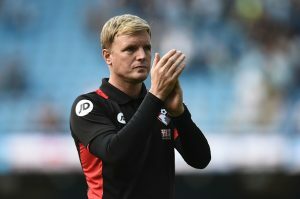 Bournemouth’s Strongest XI: Are The Cherries A Potential Top 10 Side?